20 miles of bad road.. It's 2526. 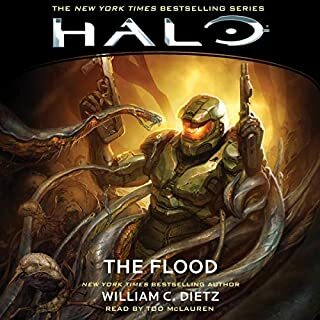 It has been almost a year since humanity engaged in its destructive first contact with a theocratic military alliance of alien races known as the Covenant. Now, the hostilities have led to open war, and the United Nations Space Command understands virtually nothing about its new enemy. 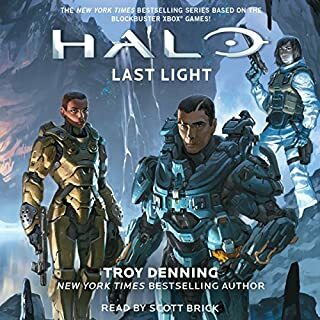 The UNSC’s only hope lies with the Spartans: enhanced super-soldiers trained from childhood via a clandestine black-ops project to be living weapons. But not everyone wants the Spartans to succeed. 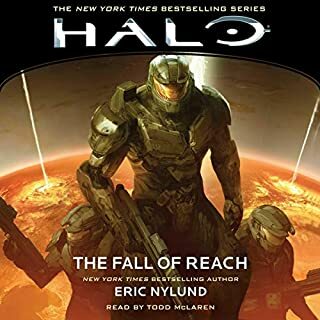 Must read for Chief fans. 5 out of 5! 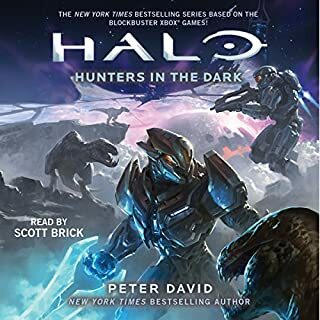 It is 2555, more than two years after the Master Chief went missing in action following a decisive conflict on Installation 00 - the massive, extragalactic Forerunner construct known as the Ark - as part of the final chapter in humanity's bloody 30-year struggle against the overwhelming forces of the Covenant. 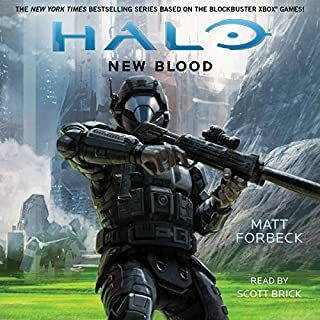 While Spartans get all the glory, no soldier - not even the legendary Master Chief - wins a war on his own. 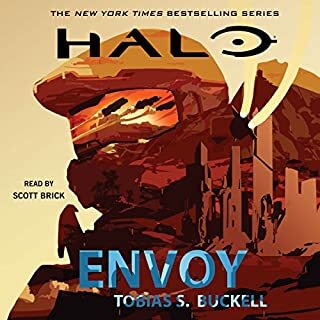 Gunnery Sergeant Edward Buck and his team of Orbital Drop Shock Troopers (ODSTs) played a major role in saving the Earth from all-out invasion at the end of the Covenant War - acts of bravery and ingenuity that did not go unnoticed by the United Nations Space Command. 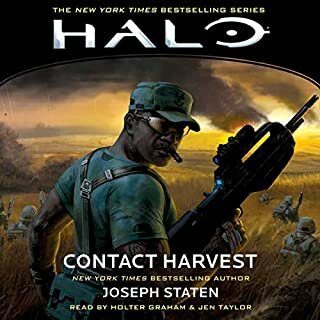 It is 2553, and the three-decade long Covenant War that defined a generation has suddenly drawn to a close. Yet in the remotest parts of human space, tensions remain that threaten to overflow into another full-scale conflict. Beneath the surface of the planet Gao lies a vast cavern system renowned for its therapeutic effects and rumored miraculous cures. 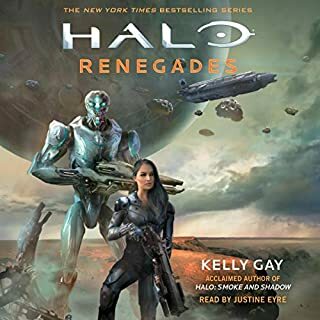 But now Gao natives are turning up brutally murdered down there - violent acts that happen to coincide with the recent arrival of a UNSC research battalion. 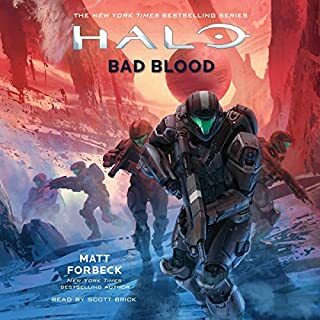 It has been six years since the end of the Covenant War...and yet on the planet Carrow, a world on the edge of the Joint Occupation Zone, a decisive new battle suddenly erupts. 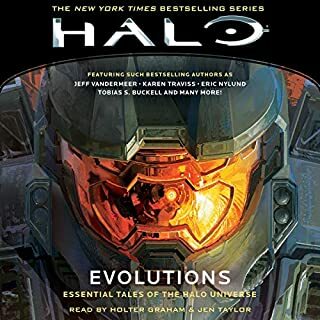 Human colonists and the alien Sangheili have already been living a tension-filled coexistence in this place, with Unified Earth Government envoy Melody Azikiwe attempting to broker a lasting peace between their two species. 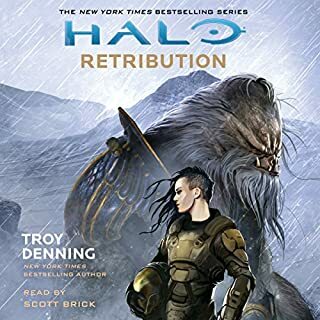 An original novel in the expansive Halo universe from New York Times best-selling author Troy Denning! 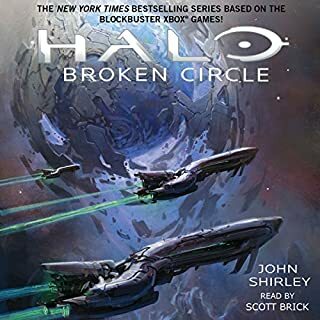 Broken Circle will explore an Elite splinter group rebelling against the Covenant in its earliest days, a brave Prophet caught in the machinations of the new Covenant leadership, and the root of the betrayal that would ultimately shatter the Covenant during events seen in the blockbuster Xbox video game Halo 2. 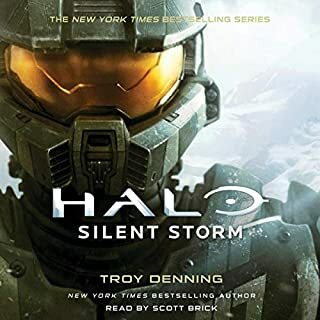 A masterpiece of Halo lore. 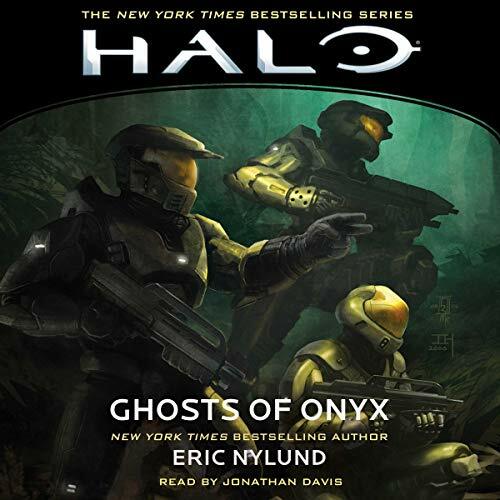 The New York Times best-seller - part of the expanded universe based on the award-winning video game series Halo! ©2006 Microsoft Corporation. All rights reserved. 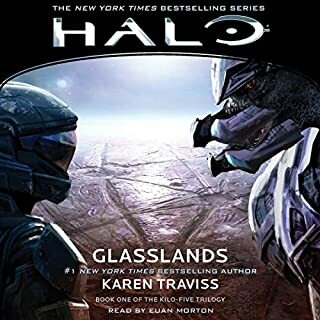 (P)2006 Macmillan Audio. All rights reserved. ........... Kurt is the man!! loved every moment of it!! kept my attention the whole time and will listen to it again with the feels. if you didn't already know this sets the stage for a trilogy which is also very good. Kilo-five series by Karen Travis. that is also a favorite. I liked the book, but it felt pretty slow. I wanted it to be a bit better with the pacing. Sometimes the book ground to a halt, and other times it was fine. 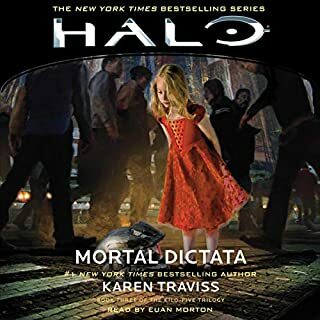 Davis isn't a great narrator for halo, since he made multiple mistakes in pronunciations. not a huge deal, but as a superfan of Halo, it was noticeable and annoying. I would recommend going for one of the Anthology books instead, or one of the other main cannon books. 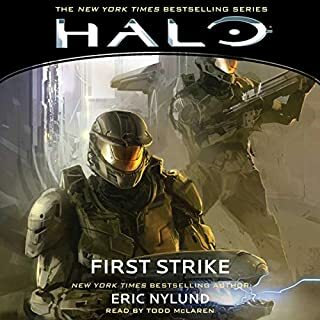 Personally, I prefer the Anthologies, as the narrators in most of the Halo books I have read tend to lean towards less than spectacular and take away from the story. 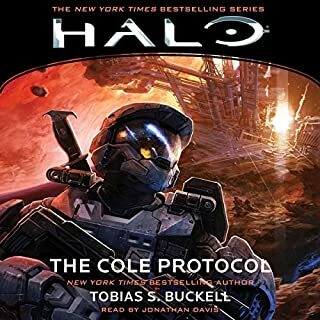 I love the story, but the voice actor pronounced some words wrong and even said UNSC as USNC, which is also wrong. 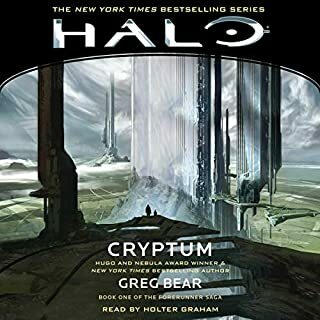 I'm a long time fan of the Halo franchise, so get in contact with me the next time you need someone to do a reading. I'll give you the performance of a lifetime.